Box frame is made of all welded aluminum channel with heavy duty smooth deck. Corner sockets on both ends are integrated into the frame to accommodate additional removable aluminum handle (sold separately). Comes with 2 rigid & 2 swivel 5" casters. 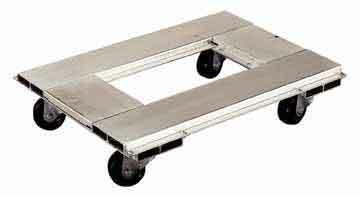 Box frame is made of all welded aluminum channel with heavy duty smooth deck. Corner sockets on both ends are integrated into the frame to accommodate additional removable aluminum handle (sold separately). 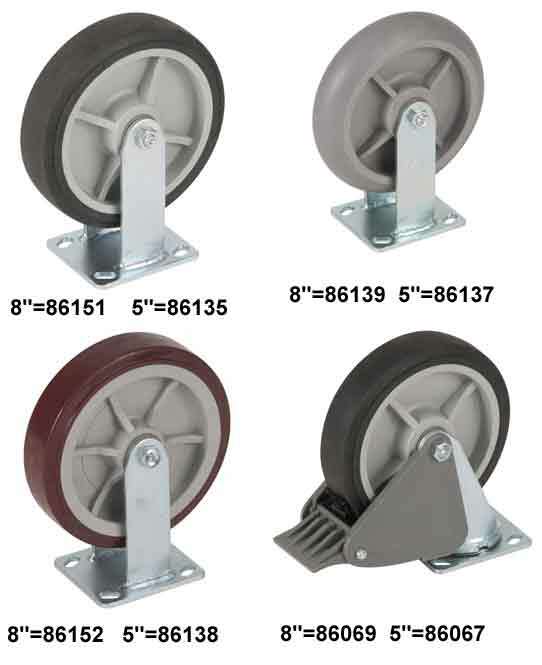 Comes with 2 rigid & 2 swivel 8" casters. Box frame is made of all welded aluminum channel with heavy duty tread plate deck. Corner sockets on both ends are integrated into the frame to accommodate additional removable aluminum handle (sold separately). 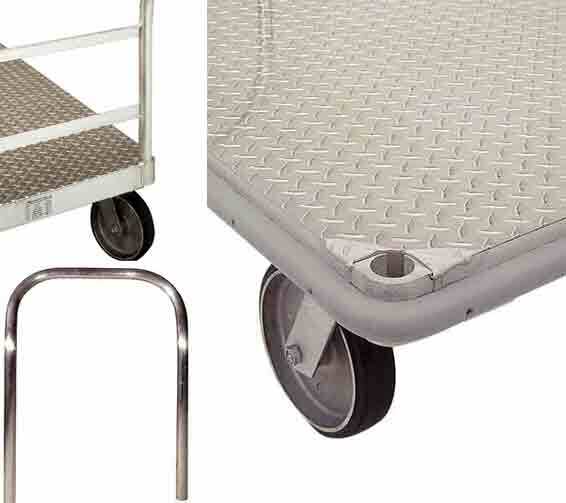 Comes with 2 rigid & 2 swivel 5" casters. Box frame is made of all welded aluminum channel with heavy duty tread plate deck. Corner sockets on both ends are integrated into the frame to accommodate additional removable aluminum handle (sold separately). 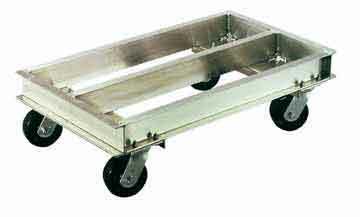 Comes with 2 rigid & 2 swivel 8" casters.